Overall height 600mm, Overall width: 1120mm, Suitable for EURO-NORM Quick change frame, Supplied with 2 x M22 x 1100mm Tines (SHW Brand), Tine Spacing : 750, Robust Construction, Load Capacity 700Kg, CE Approved. 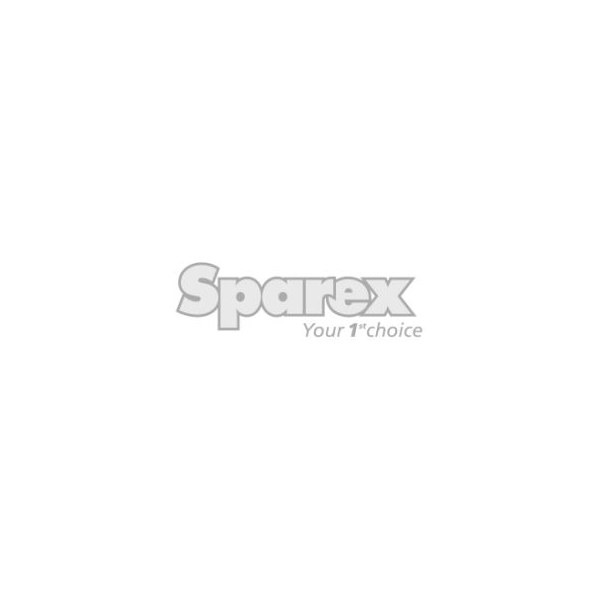 Overall height 600mm, Overall width: 1120mm, Suitable for EURO-NORM Quick change frame, Supplied with: 2 x M22 x 1100mm Tines (Sparex Brand), Tine Spacing: 750mm, Robust Construction, Load Capacity: 700Kg, CE Approved. Overall height 600mm, Overall width: 1120mm, Suitable for EURO-NORM Quick change frame, Supplied with: 2 x M28 x 1100mm Tines (SHW Brand), Tine Spacing: 750mm, Robust Construction, Load Capacity: 700Kg, CE Approved. Overall height 600mm, Overall length: 1120mm, Suitable for Skid Steer Quick change frame, Supplied with: 2 x M22 x 1100mm Tines (SHW Brand), Tine Spacing: 750mm, Robust Construction, Load Capacity: 750Kg, . Overall height 600mm, Overall length: 1120mm, Suitable for Skid Steer quick change frame, Supplied with: 2 x M28 x 1100mm Tines (SHW Brand), Tine Spacing: 750mm, Robust Construction, Load Capacity: 750Kg, CE Approved. S.33091 - Front Loader Bracket - Eyelet, Hole Ø23mm. Length: 85mm, Width: 60mm, Thickness: 23mm. Length: 105mm, Width: 85mm, Thickness: 40mm.